We started Prosperidad, our educational institute in the year 1997. Since then the institute has excelled both in academics and co-curricular activities and added colourful feathers to its glory and success. The ideology of the institute is founded on the motto “Pursue excellence and success will follow”. With the focus on excellence in education, we provide safe and caring infrastructure, facilities and amenities for the children, paving the way for imparting quality education for the development of cognitive, affective and psychomotor domains. Education and learning are one of the most important ingredients to becoming all that you can be. 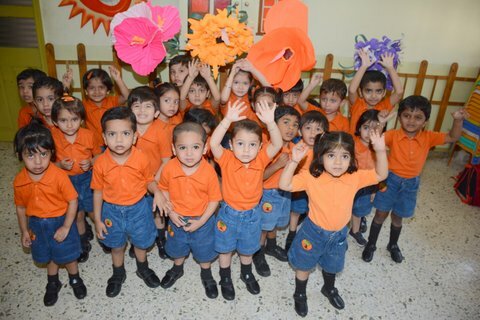 We understand preprimary schooling is always first step towards formal education. We believe that each child is unique and needs nurturing to grow in their skills. Our aim is to bring out their best and grow them into being responsible towards the society.